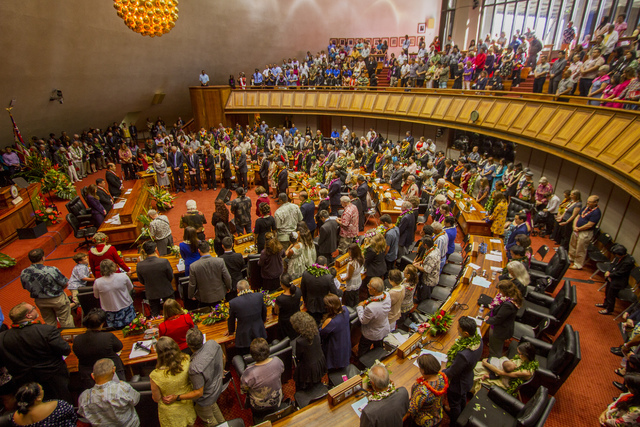 Every year, the Department of Hawaiian Home Lands prepares and submits legislative proposals for inclusion in the Governor’s Administrative Package for the next session of the Hawaii State Legislature. For the 2018 package, the department is soliciting recommendations from beneficiaries and the general public for consideration in our legislative package. The deadline for proposals is Thursday, August 10, 2017. Proposals must be good public policy for the department; must address the department’s operations, programs, regulations, processes, budget and/or resources; and must create a benefit or an advantage for the department, the trust, or trust beneficiaries, or otherwise correct a deficiency. Authors of proposals should keep in mind that amendments to the Hawaiian Homes Commission Act, 1920, require review by the U.S. Department of the Interior and may require the consent of the U.S. Congress prior to implementation. Staff will review and evaluate all proposals and will determine which will be submitted for consideration for the Governor’s Administrative Package. The proposals to be submitted to the Governor will be approved by the Hawaiian Homes Commission. Proposals not submitted to the Governor may be introduced independent of the administrative package. Please note that the Governor may also choose not to include proposals submitted by the Commission. Additional information can also be submitted by email. If you already have a bill drafted, please send that as well. Completed proposal forms must be submitted by Thursday, August 10, 2017. What issue does your proposal aim to address? Are you proposing a bill, a resolution, or other? Please explain why you need the proposed legislative action, and what problem it is designed to correct. Does your proposal require an amendment to the Hawaiian Homes Commission Act? Does your proposal require funding? If it does require funding, how much funding? Please attach any supplemental documents for your proposal here.